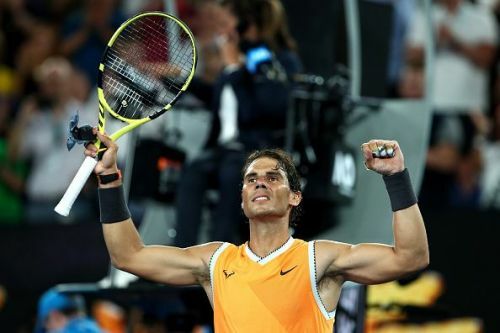 When the Australian Open draw was announced and the two-time defending champion Roger Federer was drawn alongside Rafael Nadal on the same side of the draw, the fans were eagerly anticipating for a high-voltage encounter between the two legends of the game at the semi-final stage. 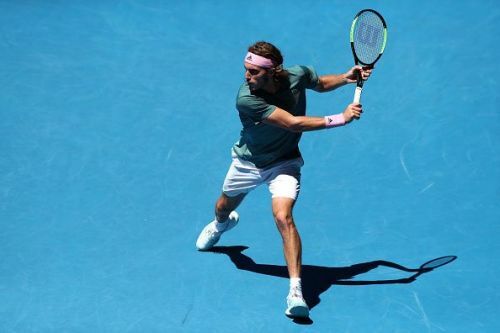 Nadal has made a serene run to the semi-finals, but instead of Federer, he will face his vanquisher Stefanos Tsitsipas who has modelled his game on the Swiss Maestro. In a way, Tsitsipas is almost a like for like replacement for Federer, only younger and fitter, if not better! However, Tsitsipas is getting better with every new tournament or match he is playing. If 2018 was the twenty-year old’s breakout year, 2019 could still be better. 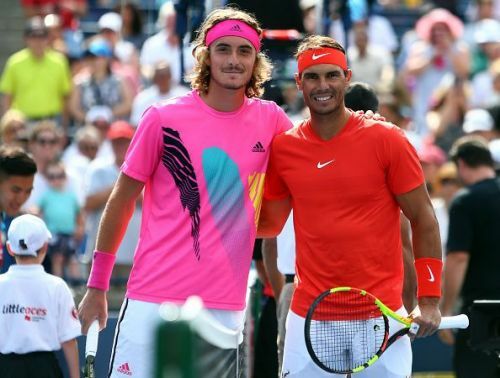 With Alexander Zverev’s continued disastrous performances at the grand slam stage, it could well be Tsitsipas who could be the first next gen star to win a grand slam singles title! Tsitsipas's single-handed backhand is a thing of breathtaking beauty. It is not just his breathtakingly beautiful single-handed backhands and fearless serve and volley game which resemble those of his idol, but also his calm demeanor under pressure. He has pulled himself out from difficult situations, as was demonstrated many a time during his encounter with Federer, where he held on to his serve despite the immense pressure exerted by the twenty-time grand slam champion. In his quarter-final against an in-form Roberto Bautista Agut, it was more of the same from Tsitsipas. It was yet another tight four-setter, where only five points separated the victor from the vanquished. But as he has done all through the tournament so far, he kept his nerve and won the pivotal points at crucial junctures. But can he achieve the rare feat of defeating both Federer and Nadal in the same tournament? At the 2018 Rogers Cup Masters 1000, he had got the better of Novak Djokovic in the early rounds only to fall at the hands of Nadal in the final. Can he do one better here by getting the better two of the big three in the same tournament? His challenge this time is even bigger, because Nadal has clearly looked by far the best player in the tournament so far. All his five matches, including his quarterfinal match against Frances Tiafoe have been rather easy straight-set victories. He has been taken to a tie-break only once, against Tomas Berdych in the fourth round, but that too after conceding only one game in the first two sets! At this moment, he is clearly the overwhelming favorite to win the tournament. But he would not look that far. In his career, one thing that we have never seen Nadal doing - being complacent. He plays every match, every set, every game and every single point as if his life depended on it. With that kind of attitude and this kind of irresistible form he is in, it will take a brave man to bet against him, regardless of who the player on the other side of the court is.